"I specialize in the treatment of knee joint injuries in athletes. Therefore, the swift return to sports and the immediate reuptake of the training is very important for me. In addition, I treat chronic changes and damages of the knee joint. Together with my experienced team of doctors, qualified sports physiotherapists and assistants, I can enable a quick re-entry into the world of sports or into everyday life." The basis of further treatment is a precise and rapid clinical examination, followed by x-ray and MR examination, often even on the same day. Based on this, it is decided whether a non-surgical or a minimally invasive arthroscopic treatment is best. Prof. Janousek and his team of physiotherapists ensure short rehabilitation times. In acute cases, one must act immediately. And injuries often happen outside of normal office hours. Which is why we are available 24/7 via our 24-hour telephone, to treat acute cruciate ligament and meniscal injuries. 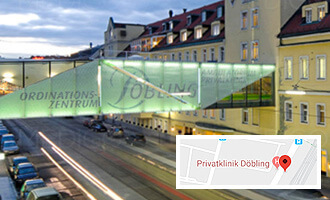 The KneeCenter is part of the SportsClinic Vienna and is located on the 4th floor of the ordination centre in the Döbling Private Hospital, Heiligenstädter Street 46-48, 1190 Vienna. 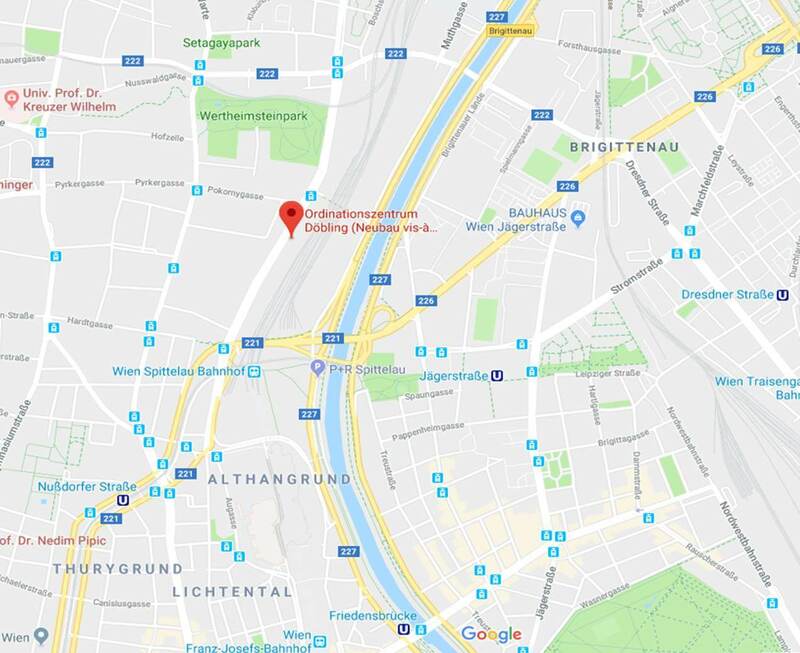 You can reach us via public transportation with the U6 / U4, station Spittelau and tram line D.
If you come with your car, it is best to use the hospital car park Heiligenstädter Street 46-48 and take the lift to the 4th floor to get to our office. Through many years of experience working with top athletes, amateur athletes and people with knee problems of all ages, Prof. Janousek has a solution for even the most complex knee problems. Prof. Dr. Andreas Janousek is an internationally recognized specialist in the treatment of knee injuries and knee damage. 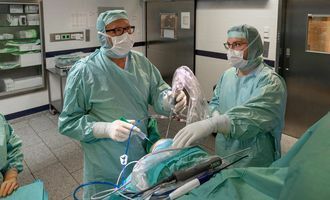 As head of the working group Knee of the Austrian Society for Traumatology, he is also responsible for the training and further education of prospective knee surgeons. Prof. Janousek himself is constantly involved in the sporting events: on the ski slope as a supervisor of the slalom men's world cup team of the Austrian Ski Association, as a sports phycician on the bench of the First Vienna football club. In doing so, he is familiar with the injury mechanisms and the effects of exercising and can immediately provide primary medical care.